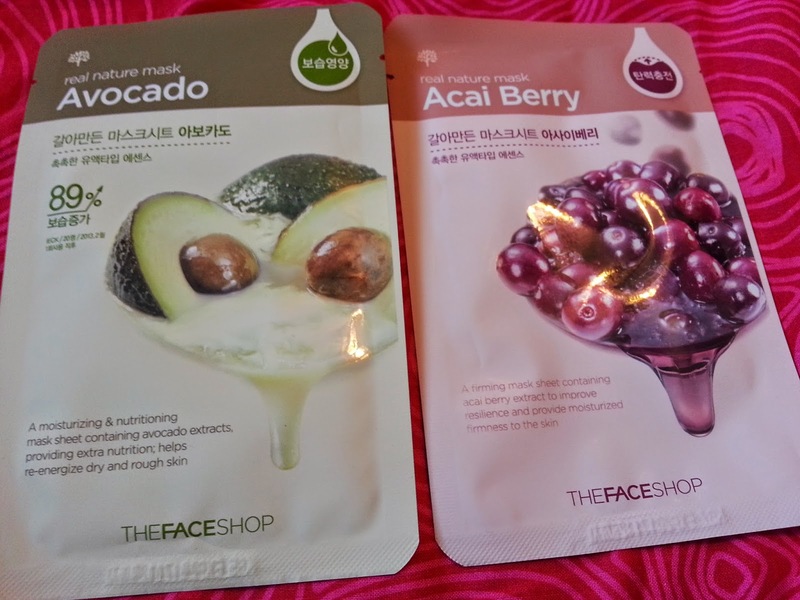 It's been awhile since I did a review on one of these masks. I haven't had a chance to use them lately, and I finally got to for the first time in forever. 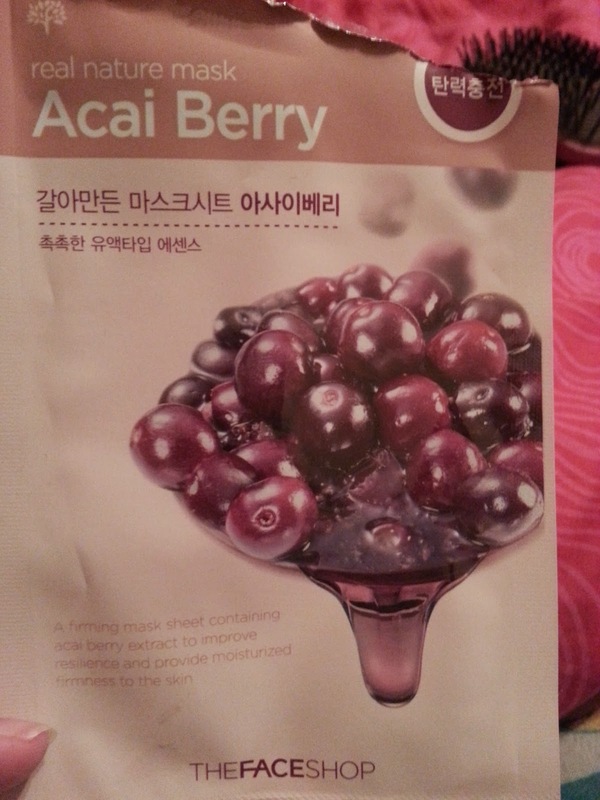 This time I tried the Acai Berry sheet mask! Acai Berry - A firming mask sheet containing acai berry extract to improve resilience and provide moisturized firmness to the skin. For some reason this pack didn't have as much essence as the others I have used. But that's okay! It smelled great. I wore it for 20 minutes like usual. I have to say I wasn't overly impressed by this one. It did make my skin look a little smoother, but other than that, I didn't feel any benefits. The rice mask has definitely been my favourite out of all of the sheet masks I have tried! I still have more to get through though!